When we decide to make changes to aspects of the organisational environment or how we go about doing business, we set out with the best and highest of intentions; aiming to secure significant long term change. But, more often than not, these lofty change goals are not met. There’s this unassailable optimism that, if we take action, change will happen. It’s like we rely on magic. It’s easy to fall into the trap of believing in magic. We all know how it is. You’re inspired by an article or a consultant that has pointed out the need for, and drivers of, organisational change in a particular area of your business. Now you are convinced you’ve found the solution to your company’s problems. The thing is, to think that a new form, system, process, structure, or some other corporate equivalent of a little sleight of hand, is all you need to bring about change, you’d have to be some sort of real life Merlin. People and organisations don’t change because of blind optimism or magic. They change because making tough decisions, working hard, reflecting on tough feedback, testing risky ideas and bouncing back when things fall apart are all part of their organisational DNA, and therefore built into their culture. There’s no magic in successful organisational change. So, stop relying on magic to bring about organisational change. To end the reliance on magic our advice is to start asking a new question: “What do you need to believe?”. For example, say five years ago you were going to invest $400,000 (equivalent to a house) on a taxi licence. Imagine, if back then, someone asked you “do you believe the economic model of the taxi industry will stay the same for ever?” Would you have been wise enough to challenge your own beliefs about what you were investing in? Or maybe you were dreaming of starting a boutique hotel in a little seaside village. Similar question. Do you believe that people will always prefer the comforts of a traditional hotel? And what about the local video rental franchise? You get the picture. Fast forward five years and the likes of Uber, Airbnb, Amazon and Netflix have transformed their respective industries. And there will only be more industry changers and black swans out there. The same principles apply to organisational change, because real change requires significant investments of time, money and effort. To make your investment in change successful you need to be clear about what you believe and, more importantly, be open to being challenged about that (we’ll revisit this concept in a moment). When leading any organisational change, it goes without saying that you have to have a clear idea on what the post change environment looks like. The goal. What is also critical is to have a view on the adjacent, interdependent and complementary factors that will help or hinder your change. This will make sure your change leadership strategy is grounded in reality, rather than blind faith, or magic..
Do I believe that when we undertake this restructure everything else in the organisation will remain stable long enough for the benefits of the change to take effect? Do I believe our level of organisational capability already matches our competitors so this leadership program will be enough to keep us on top? Do I believe there is no threat to the structure of our industry so our current product and/or service offerings are enough to meet the future? Do I believe our customers are committed to us such that changing to a new service model will be easy for them to accept? A well crafted question will give you a yes or no answer. A yes gives you permission to go a step further. A no means there is more to consider in your change plan. Our advice: Don’t waste time and resources executing change strategies which aren’t taking into account fundamental beliefs about the environment you operate in. Belief is important. As one of the building blocks of conscious thought it motivates and guides us. However, this does not necessarily mean that belief is correlated with fact or truth. It’s important to only make changes which will improve your organisation, rather than blindly applying magical fixes you want to believe can make a difference. But those same core beliefs can be incredibly rigid, inflexible and we can become defensive when they are challenged because, as humans, we love consistency in our view of how things work. So we work to take in information that reinforces our beliefs and we tend to dispute or disregard information that might conflict with what we believe. Any sort of change is going to challenge the beliefs of one or more people, so make sure you have done your thinking on the foundation of what you are proposing and don’t end up blindsided by a lack of challenge on your own beliefs. As such, you need to critically analyse your own view of your organisational environment before planning any changes to it. And once a change strategy is drafted, it’s important to think reflexively about how it’ll impact specific parts of your organisation. The more often you stop and think “What about this situation do I need to believe?”, the better prepared you’ll be to lead change. You will be viewing your organisation objectively, and as a result your change leadership strategy will be grounded in reality, rather than in your assumptions about the situation. Leading an organisational culture open to change is a long term commitment which requires a tailored, dynamic strategy, not a magical fix. For more guidance about contemporary change management strategies, click on the below image to download our eBook on the role of emotion in change. Justin is the Managing Partner of our Melbourne office, an outcome focused leader with a track record of driving business performance through proven talent and organisation development practices. Justin’s methods and skills have been shaped by working with performance oriented leaders in great companies including PepsiCo, The Campbell Soup Company, Diageo, Rip Curl, Fonterra and Wesfarmers, in Australia, the USA and Latin America. 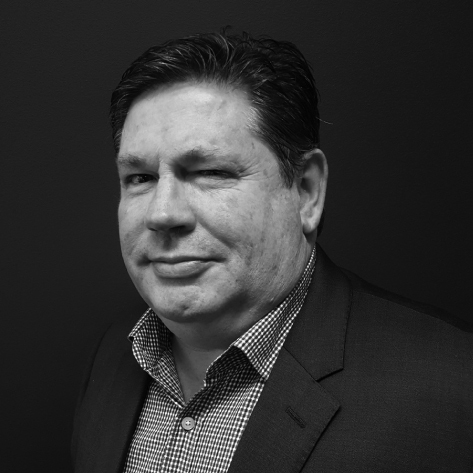 Meet our new Partner in Sydney, Peter Blair!